Kenya Moore is getting to be too much even for Andy Cohen. 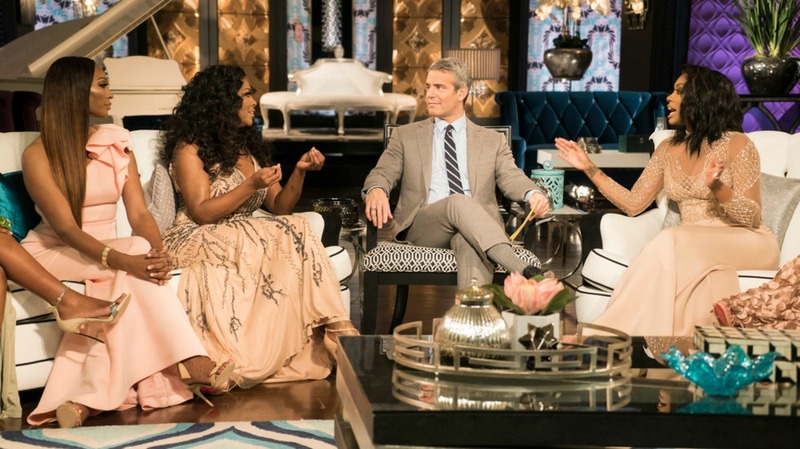 On the latest installment of The Real Housewives of Atlanta reunion, Cohen addressed the entire cast’s — and specifically Moore’s — “gay-bashing attitudes” toward Kim Fields’ husband Christopher Morgan. Morgan was present in the studio as his fellow RHOA castmates mocked and questioned his sexuality. Morgan himself addressed the gay rumors, asking Moore where they began. As Bustle points out, she claims not to have started them. Cohen, an openly gay man, jumped in for what he called the “taunting and derogatory” mocking of Morgan. While Moore and her castmates may not have started the rumors — it’s useless to trace gossip back to its source — their perceived closeness to Morgan and visibility makes it especially unfair of them to mock him publicly. Of course, fans would trust the RHOA castmates’ opinion of Morgan. If you trust Bravo cameras, they seem to spend plenty of time with him.